So you realize that mobile isn’t just another fad, and in order to stay accessible by an ever increasing mobile population, you need to have a mobile product… but you’re just not sure what. Where do you start the process and do you simply need a mobile website or do you need a full fledge app in all of the app stores? What happens after development – who supports the product or makes any changes? Fortunately you’re not alone. Even though it seems everyone has gone mobile – we’re still in the infancy of business adopting best practices around mobile strategies. We’re here to help by creating a comprehensive plan for how to take your business into the mobile era, and what to do once you’re there. Regardless of your budget, Iconic Solutions can design a custom mobile solution that will fit your needs. Unlike other development firms that only charge an hourly rate – We will meet with you to understand your objectives and define your project goals before crafting a custom proposal that outlines multiple options and price structures for bringing your ideas to life. Our strategy planning services are equally perfect for customers that want an app now, as well as organizations that are 6-18 months away from product development. The mobile app ecosystem is still in its infancy. Discovery is increasingly an issue, and monetization models are still being fully fleshed out. However, from a pure product perspective, those things don’t matter. What matters is that in the next five years every person on this planet is going to be using a mobile device. And these devices are going to be used far more than any traditional computer ever has been and ever will be. The value in the desktop web is increasingly an illusion. Given the rate at which these mobile devices are improving, a plunge is rapidly approaching. Let us show you why you do not want to build an app based on your website – but instead the power of building the app that acts as if websites never existed in the first place. How to build the app for the person who has never used a desktop computer. Because they’re coming. Soon. In the past, smartphones and other mobile devices were reserved primarily for business-driven individuals looking to always stay connected with their clients or to their company. However, this trend has completely changed. Now almost all consumers have a smartphone device that they use for a wide variety of tasks that allow them to stay connected to the people and companies that they choose. In fact, smartphone usage is projected to overtake traditional desktop usage to view websites by 2014. By adding a custom mobile business app, your brand, product or service will always be accessible to consumers, as the popularity of smartphones is only going to increase. 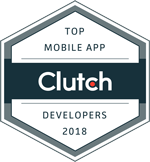 Our talented team of developers focuses entirely on custom web and mobile app development, and will work with you to create a mobile application that meets the needs of your business and promotes your product or service to an increased mobile audience. With so many smartphones on the market, having an app creates endless possibilities for reaching new customers and staying better connected with your current customers. Since smartphones and other mobile devices are continuing to increase in popularity, customers are now reachable 24 hours a day if your business has an iPhone app, Android app or Windows app. This gives you constant contact and allows you to make your business available at all times. It also adds a personal touch to your marketing efforts that can be extremely effective in satisfying customers. Regardless if you’re trying to better connect with customers in your local market or extend your reach nationwide – let us create a top mobile app that meet all of the potential needs of your diverse consumers. Contact Us Today to Start Getting Your App Noticed!